Your team will be safe and sound while you're with us in Baja. Comfortable, dorm-style housing options are available at around $15 per night (per person). Some facilities offer meals, usually at around $6 per meal. 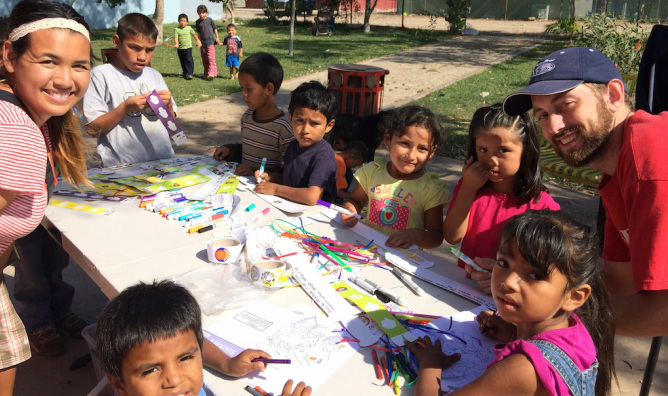 GO Team members Jade and David share crafts with some children in Granjas, a community near Tijuana, Mexico.